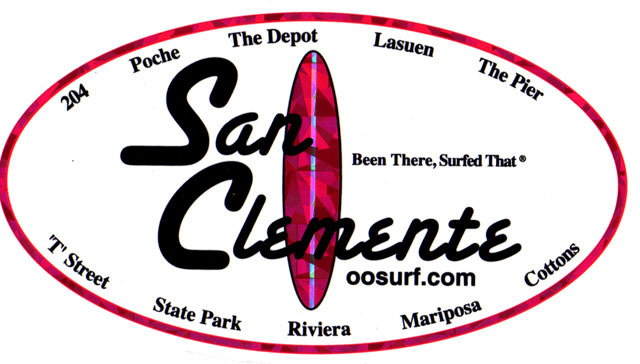 These Decals have been designed and made in Southern California, since 1995, of high quality UV protected vinyl. They have a kiss-cut design so the oval decal peels from the center of the rectangle. Most of them are also set up to be a postcard on the back. 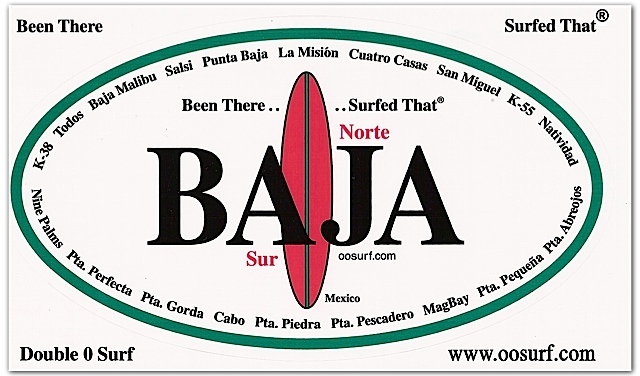 The price per decal does not include a small shipping and handling cost for shipping inside the continental United States. 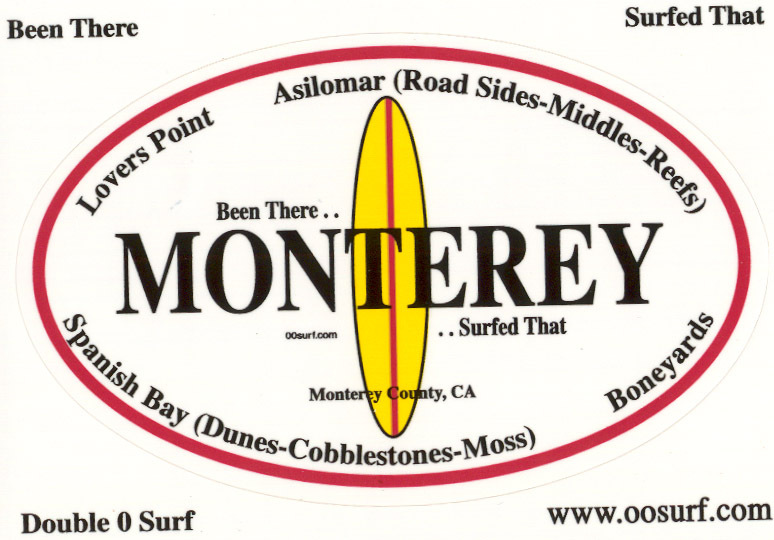 You can get your LICENSE TO SURF by ordering just one decal or as many as you want. 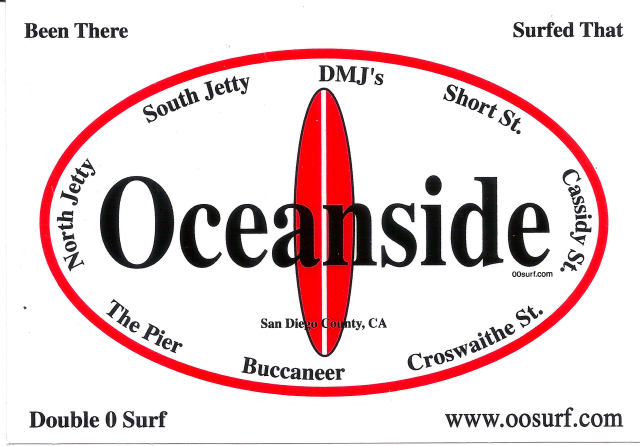 You can order your decals and pay for your order of by using PayPal which is secure, simple and easy. 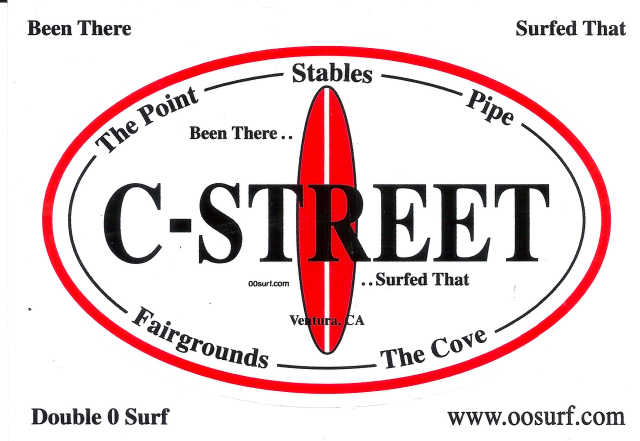 OOSURF.COM - Double 'O' Surf has 'Been There, Surfed That®.